For the last several years the semi-autonomous Kurdistan region of northern Iraq has been attracting a relatively large, continuously growing, amount of investment; including local investment, foreign direct investment, and foreign/local partnerships. 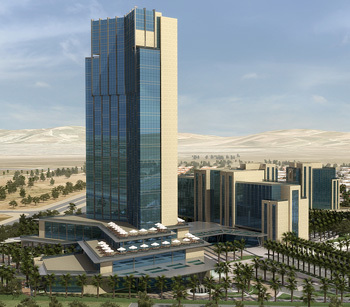 Since 2006 around USD$ 21 billion have been invested in Kurdistan, USD$12 billion of which have gone to investments in the capital city of Erbil and USD$6 billion of which has been invested in Sulaymaniyah, the second largest city in Kurdistan. "The investment law in Kurdistan is one of the most attractive in the world." "The investment law in Kurdistan is one of the most attractive in the world. Of course, we are a developing country and there are always things to be done with the infrastructure in a developing country. In Kurdistan there are many opportunities in all sectors, not just in IT or construction or oil. So what we feel is that there are many Gulf countries coming to Kurdistan - like Kuwait – they are by the way the biggest investor here. People who come to invest are also from Dubai, Abu Dhabi and so. There are also some investors from Europe and the States but the size of their investment is not the size we would like to attract in Kurdistan." The numerous and varied economic opportunities in Kurdistan, combined with liberal investment laws, make Kurdistan an ideal investment option, as reflected by the increasing presence of both domestic and foreign investors. If Kurdistan continues to attract international attention and the security situation continues to stabilize, the future of this region will undoubtedly be economically rewarding. Iraqi Kurdistan's appeal as an investment option lies beyond liberal investment laws. There are an incredible amount of economic opportunities in Kurdistan, across a variety of sectors. In many cases, these sectors must be built from the ground up, allowing for an impressive amount of creativity, innovation and profit. Despite agriculture challenges with obtaining water, companies in Kurdistan are currently experimenting with water reservoirs and damns in order to fully utilize Kurdistan's fertile land, which promises to thrive in the agriculture sector. In the lucrative oil sector, Kurdistan is attracting international attention, with 47 companies dedicated to the oil sector in Kurdistan. 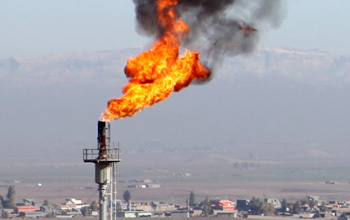 Most notably, Exxon Mobil and France's TOTAL have expressed interest in investing in Kurdistan oil reserves. 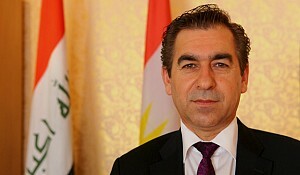 "The KRG has invested heavily in their natural resources. The country is expected to produce 2 million barrels of oil per day by 2019. Also gas reserves are estimated to be between three and six trillion cubic meters. Additionally, the international oil companies have committed to invest approximately 10 billion USD worth of investment in the energy sector. This type of investment necessitates all kinds of economic growth, including real-estate growth." Kurdistan's numerous economic prospects in a variety of profitable sectors, and the opportunity to invest as industry figureheads during the development process, undeniably make Kurdistan an attractive option for domestic investors, foreign investors and domestic/foreign partnerships. "You've got this combination of extreme shortages with this amazing ability to purchase things due to the oil wealth. I don't see how even the most inept politicians could screw that one up." 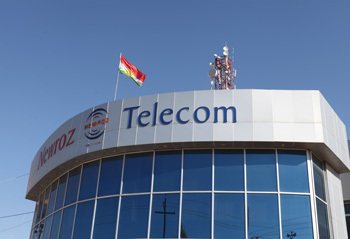 Official data from the Kurdistan Regional Government indicates that there are approximately 1,600 foreign companies and 11,000 local companies in Kurdistan. 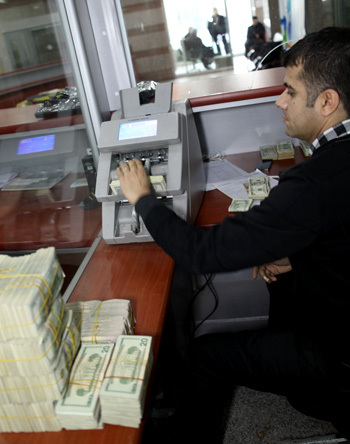 Foreign and domestic investment in Iraqi Kurdistan has been rising annually for the last six years. With more than USD$3 billion invested in the first six months alone, 2012 will most likely yield a record amount of investment. These impressive increases could not have been possible without the continued growth of domestic investment, the increased presence of domestic/international partnerships, and the rapidly developing foreign investment. "When we approach foreign companies it encourages them to visit Kurdistan and get a clear idea of the situation, and only then they can make their final decision on whether to stay and work in Kurdistan or go elsewhere. We hope that big companies will come and improve the area like they've done in some other Arab countries. It will be a source of pride for Kurdistan and its people." 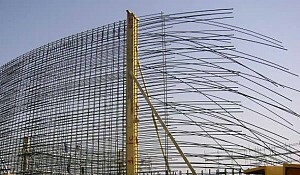 The number of foreign companies in the country has risen from 1,170 in 2010 to 1,600 in 2012. Between 50% and 60% of all foreign investors are Turkish. 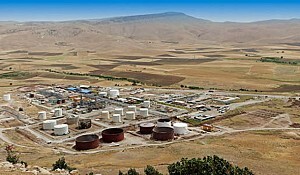 Kurdistan initially attracted local Middle Eastern neighbors, but over the past few years, American and European companies have begun to heavily invest in Kurdistan, in all sectors of business. Exxon Mobil is looking to expand into northern Iraq, Austrian Airlines claims that Erbil is one of their most profitable airports, and hotels such as the Marriott are establishing large-scale projects in the region. The presence of foreign delegations over the past six months is another excellent indication of the future of foreign investment in Kurdistan. Iran's Vice President for International Affairs, Ali Saeedlou, led a high level political and economic delegation representing about one hundred Iranian companies to the Kurdistan Region to participate in a high profile business conference. The Kurdistan Regional Government Austrian Representation, various Austrian companies, and the Austrian Chamber of Commerce met in Vienna to discuss investment and trade opportunities in the Kurdistan Region. Lastly, the US-Kurdistan Business Council (USKBC) brought a 48-member delegation, representing 30 companies, to meet with various KRG officials to discuss potential trade and investment opportunities during the Erbil International Fair. The growth of the domestic sector and the burgeoning foreign investments indicate positive development in the economy of the Kurdistan and increase the opportunities for this region in the global market. "As a stock market investor, I think the Iraq story is really a no-brainer because it combines a number of features that have been present in many of the top performing emerging markets since the 1970's. First of all, Iraq has enormous reserves of low-cost, untapped oil as well as natural gas, which makes it quite a lot like Russia in the early 90's. Then there is recovery from civil war which makes it much like Sri Lanka. That market had just incredible performance from 2000 to about 2008. There is also the story of the transition from a state-owned to a market economy, which of course anybody would immediately recognizes as the story of the Chinese economy. I think it's inconceivable that a country that has enormous untapped, low-cost oil reserves, is recovering from a civil war, is in the midst of a transition from a state-controlled economy to a market economy, and where there is excess demand for just about everything, would not experience rapid economic growth. Of course, no one really thinks Iraq's oil production is going to go up to the ten million barrel a day level that the government initially claimed. People think maybe they'll be lucky to get to six million but even if they get to four or five, that's a doubling from what it was before. 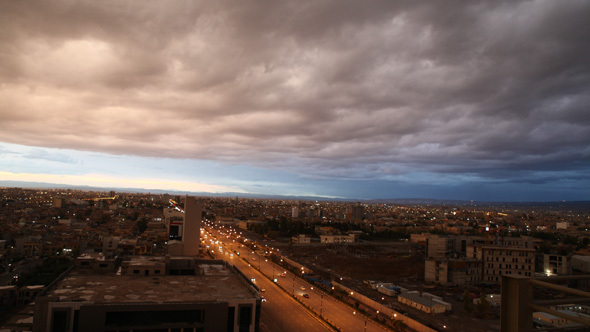 There is also a tremendous investment boom going on as Iraq's infrastructure is rebuilt. 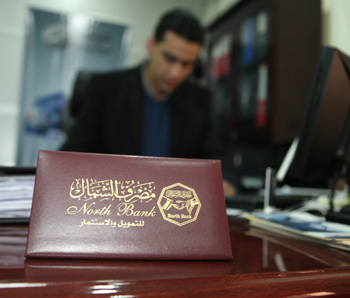 In addition to that, there is bound to be a dramatic expansion in the banking sector. 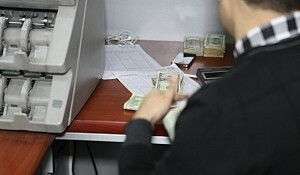 I believe only about 20% of Iraqis have a bank account. In the telecom sector, I heard from Asiacell today that the penetration rates are still very low compared to the region and there are still all sorts of broadband coverage that isn't available at all. You've got this combination of extreme shortages with this amazing ability to purchase things due to the oil wealth. I don't see how even the most inept politicians could screw that one up. So that's why I think that the Iraq story is uniquely compelling among all of the economies of the world today. I suppose that there may be equivalent stories in parts of sub-Saharan Africa but I can't really imagine anything quite as good as this, anything that combines all of these things in one place at one time, or any place that has such an enormous amount of untapped oil wealth and such a low starting point. It seems to me the potential for growth in Iraq should be obvious to anyone. I think the Kurdistan region has an attraction in addition to all of this because it's safe. That makes it a natural gateway. 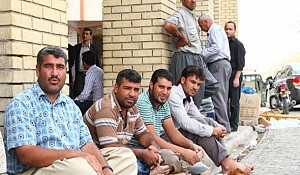 Foreigners doing business in Iraq will try to do it in Kurdistan if they possibly can." Kurdistan's numerous resources, impressive stability, and liberal investment laws is truly a haven for opportunist investors. The recent international support and interest in the region will hopefully bring more development and economic prosperity to the region. The spreading of urbanization and growth that occurs as investment projects grow in numbers will create numerous extraneous economic opportunities in Kurdistan that will further strengthen Kurdistan's growing domestic markets and support the region's entrance into the world markets. This spreading of wealth does more than encourage economic growth; it also influences cultural transformations that could further impact the developmental future of Kurdistan.